Fishing is one of those things I associate with summer and with my father. When I was a child, I was the one who loved to get up early, before sunrise, and drive with my dad down to the beach and fish off the pier. During the summers, we could go fishing not only on the weekends but even during the week because there was no school. My dad had his own business and could often get away during the week, so summer fishing was special father-daughter time. I colored the image with ProMarkers, then used a die from Spellbinders to cut it. I printed out the sentiment and hand cut it so that I could use only the "I'm Hooked" part of it. It actually says, "I'm Hooked on You." Wanting to keep the design simple, I used only ribbon and a double bow for embellishment. What happy memories you have and thank you for sharing. Love this image he is a cutie! I hope he gets to catch a big fish. Precious - and makes me want to go fishing now. I love to fish! This is so cute Connie and that's wonderful that it brings back those memories of you and your dad. I love the Spellbinders die you framed it with too. LOL!! This image gives me a chuckle as it takes me back to the time with my boys! :) Fabulous coloring and design my friend! Ha! What a cutie. Love the sentiment. He definitely looks twitter-pated. 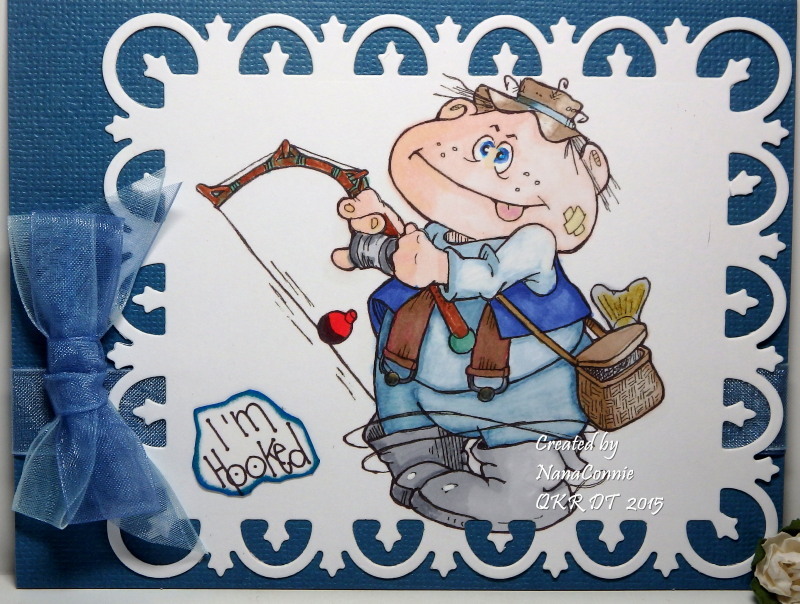 Lol, such a cute combo with the image and sentiment...makes for a sweet card for any fisherman. Thanks for playing along with us this week at Loves Rubberstamps, hope you'll join us again for more of our weekly challenges. That cute little dud made me laugh out loud! Love him to bits! Hilarious little image! Great fun guy card. 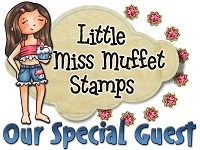 Thanks for sharing it with us at Loves Rubberstamps this week! Such an adorable image on your card! What great memories you have of time spent with your dad!! My dad was a big fisherman, but he went out on a boat with his brother fishing! Thanks for sharing your adorable card and those wonderful memories with us at Scrapy Land Challenge #21!! This is such a cute card!! It's wonderful that you have such great memories of your time with your dad!! I love anything to do with water and that includes fishing which I haven't done at all this year...so sad! Card is truly adorable. 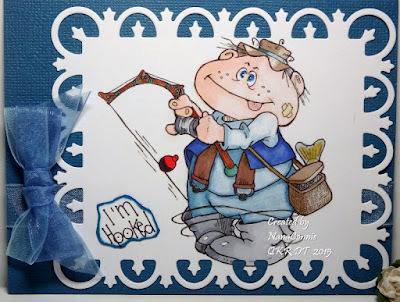 What a fun card...I hope your memories are better than getting all tangled up in fishing line! Thanks for joining us at Great Impressions! Beautiful card. Thank you very much for joining our Challenge at Creative Card Crew.